FRANCE’S love affair with outdoor life saw campsites and caravan parks notch up a record year of 113million holiday nights in 2015 – and this year looks like following suit. Latest figures show French holidaymakers led the way, making up two-thirds of the families using the sites – but Dutch visitors, Germans and the British followed, making up 36m holiday nights, with the Dutch having the largest share. The 2015 record was up 3.5% on 2014 and marks a rise of 9% over the past five years. The industry puts it down to offering clients an affordable, relaxing and friendly holiday that is close to nature and in beautiful sites. 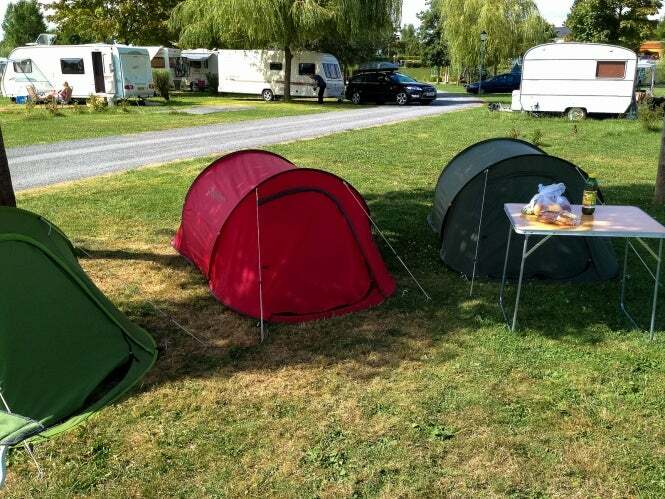 Guylhem Féraud, president of the Fédération Nationale de l’Hôtellerie de Plein Air FNHPA, said that with the economic crisis still on people’s minds their open air sites had “proven to be a wallet-friendly option for French families with holidays from as little as €15 a night”. The top regions are Languedoc-Roussillon, Aquitaine, Provence-Alpes-Côte d’Azur, Pays-de-la-Loire and, increasingly, Brittany which has been helped by its milder climate being more attractive in a heatwave. This year already, bookings are up 33% but holidaymakers are looking more towards Aquitaine. However, Mr Féraud warned that as sites had invested €6.6bn in improving facilities over the past 20 years, many faced difficulty because of increasing financial demands such as increased VAT – up from 5.5% in 2012 to 10% – and communes raising the taxe de séjour. New regulations were also becoming too complex for the size of many of the businesses but he said that so far they had been able to absorb tax increases without raising prices. The FNHPA says its success is down to, 'continuing to improve what we offer and the activities available'.